The Airbus maker is enjoying a surge in global demand for civil aircraft. 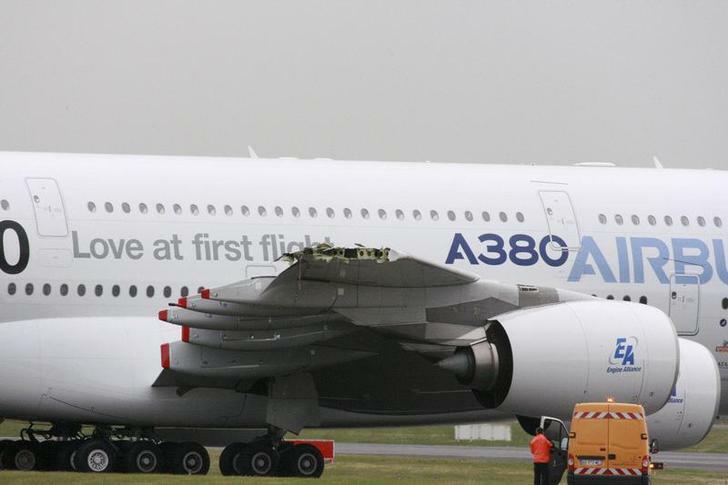 Yet it has sold none of its flagship A380 for more than a year. For now EADS has a decent backlog of orders for the super-jumbo. But the weakness will make it harder to lift mediocre group margins. Airbus has got the sales. Now how about profit? EADS, the European aviation group, reported a 7 percent increase in revenue to 40 billion euros in the first nine months of 2013. Earnings before interest and taxes (EBIT) rose 22 percent to 2.3 billion euros. More than 70 percent of revenue and profit was generated by EADS’ civil aviation unit Airbus, which increased revenue by 10.4 percent and EBIT by 78 percent. EADS expects to receive more than 1,200 new orders for Airbus aircraft this year and forecasts up to 620 deliveries. EADS’ shares rose 2 percent by 1320 GMT to 52.78 euros.